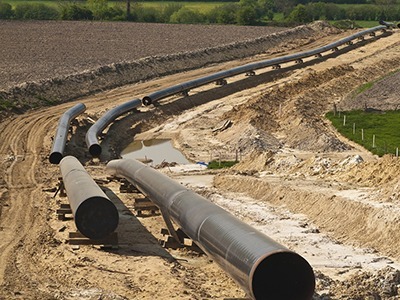 Mid-Ohio Pipeline Services is a leading oil and natural gas pipeline midstream construction company that has been in business for over 40 years. We are focused on midstream pipeline construction of steel and HDPE pipelines in the Marcellus and Utica Shale formations. Mid-Ohio Pipeline Services has many midstream construction jobs available and we are actively looking for individuals experienced in new construction of transmission and gathering lines, station work, launchers and receivers, along with associated pipeline maintenance work. The rapid growth of our customers within the Marcellus and Utica Shale region has necessitated us to keep pace with our construction capacity and we have available positions for midstream construction jobs for the following positions; superintendents, assistant superintendents, foreman, project managers, safety inspectors, welders, excavator operators, bull dozer operators, rubber tire hoe operators, mini excavator operators, rig welders, Class A Commercial drivers license (CDL), HDPE fusing, directional drill operators, blasting and coating, swamping and general labor. Mid-Ohio Pipeline Services is a rapidly growing company creating midstream construction jobs throughout the in Kentucky, Ohio, Pennsylvania, West Virginia, and Virginia; to join our company as a valued team member please apply online by clicking here!